I woke up the morning after Thanksgiving, and turned on Pioneer Woman (because I apparently never get tired of food). She was making some sort of meatball, and my mind started wandering to green chile (which happens more than it probably should). A few years ago when I was visiting Ruidoso for Christmas, I had dinner at Farley’s. On their menu, they have an appetizer called Jack Rabbit Droppings. It’s not hard to imagine where they got the inspiration for the name, but man, they were delicious. 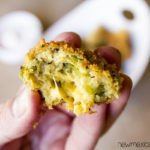 They combined chicken, jalapenos and cheese into balls, breaded them, and deep fried them. 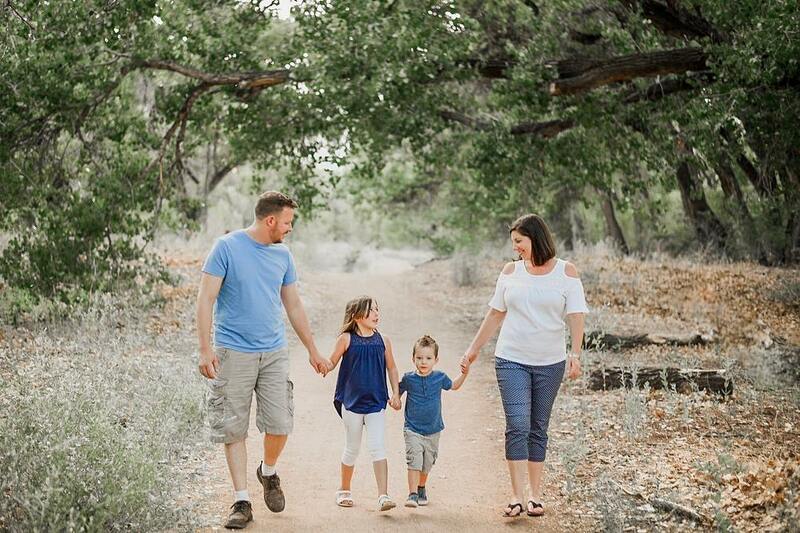 They were magical. They haven’t expanded Farley’s into the 505 yet, so I decided to create my own Jack Rabbit Droppings. 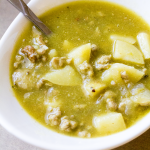 And as much as I love jalapenos, I tend to love green chile a bit more, so I used them instead. I took some chicken breasts, pulsed it in the food processor with some panko breadcrumbs, eggs and seasoning, until it was a a perfect consistency to form into a ball. I then added a generous portion of Hatch green chile, and formed it into a ball. And you may be thinking, OMG that sounds amazing. And yeah, these would have been great just as is, but I wanted to do a little more. I decided to stuff it with an ample amount of cheddar cheese, so there is an ooey gooey melty surprise in the middle! 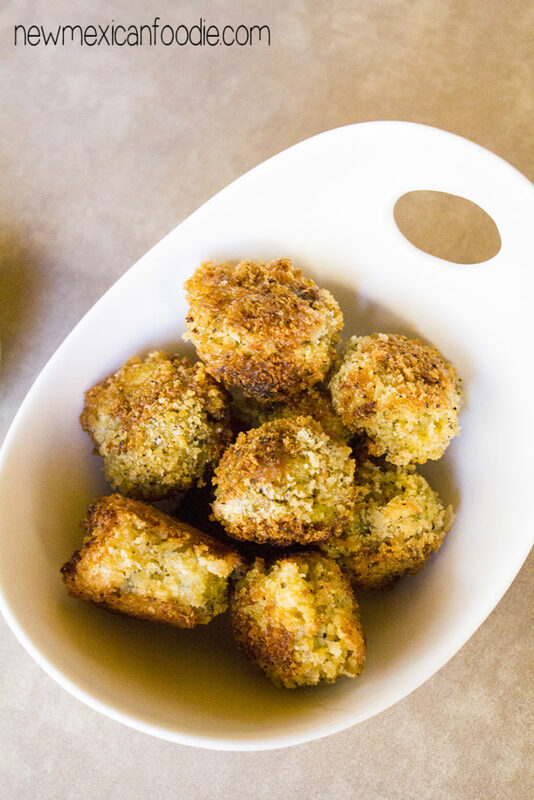 I coated the finished green chile bites in panko breadcrumbs, then deep fried them until golden brown, crispy, and absolutely delicious. 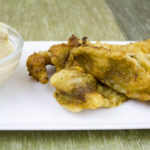 I served these with an easy dipping sauce, made simply with sour cream, a bit of red chile powder, cumin powder, salt and pepper. They were a heavenly combination! I suspect these would also be amazing with ranch dressing, as well. 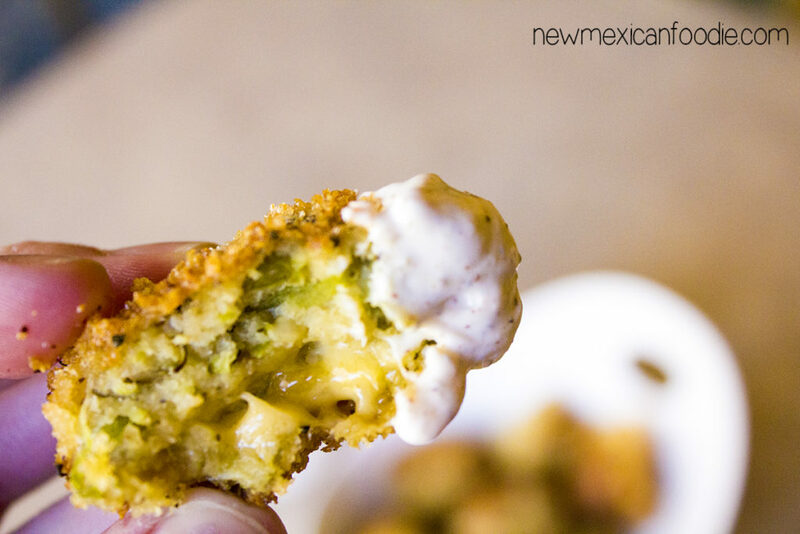 Bites of shredded chicken and green chile, stuffed with cheese, breaded and fried, because life should be amazing. Add chicken, 1/2 cup panko bread crumbs, 2 eggs, oregano, cumin, salt and pepper to a food processor. Pulse several times, until chicken is broken down and ingredients are mixed. Use a paper towel to remove any excessive water from the green chile. Add green chile to chicken mixture, and stir well. If mixture is too wet, add in some extra breadcrumbs. Form the mixture into balls about the size of a golf ball. 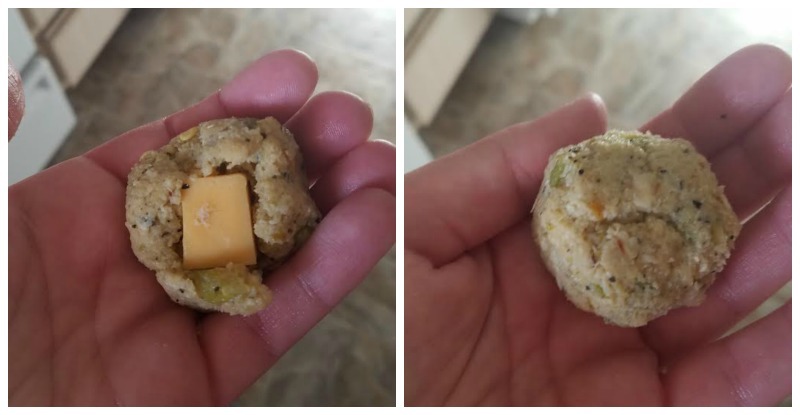 Grab a piece of cheese and press into the center of the ball, then fold the chicken mixture around the cheese and reform into a ball. In a small bowl, whisk the remaining egg. Add 1/2 cup panko breadcrumbs to another bowl. 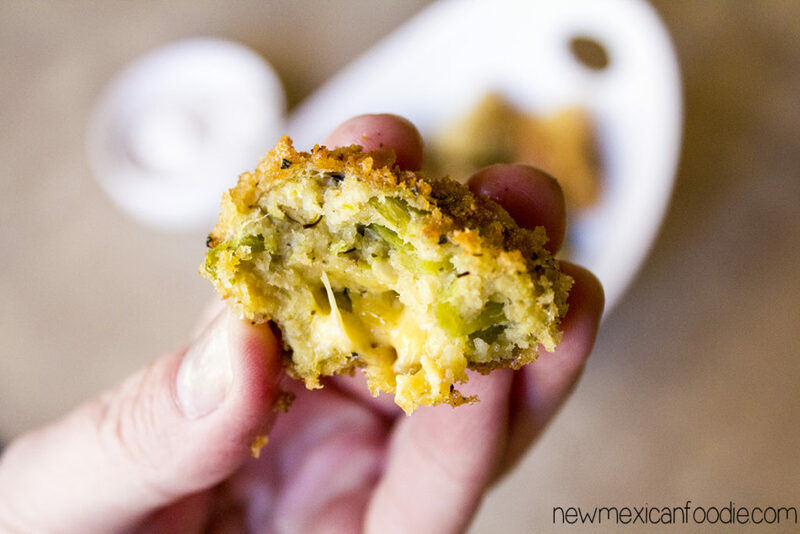 Dip each green chile ball into the egg, then roll in breadcrumbs and set aside on a plate. Repeat until all green chile balls are breaded. Place the balls into the freezer for 10 minutes. Meanwhile, heat 2 - 3" of oil in a pan over medium heat. Remove green chile balls from the freezer, and fry in batches until golden brown, about 3 - 5 minutes per batch. So, my family LOVED these. 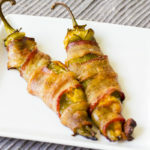 I think I heard the word “amazing” a few times 🙂 They were definitely a hit, and will have a permanent home on my list of appetizers to make when family and friends comes over. 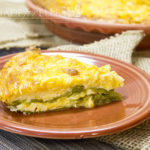 Do you love ALL things green chile? Check out these other tasty treats!